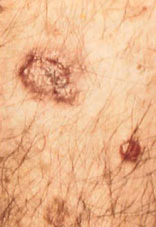 MOHS surgery was developed in 1938 by Frederic E. Mohs as a treatment process for skin cancer. 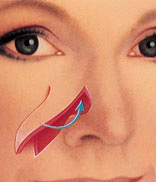 During this procedure, tissue is removed and examined for cancer cells; this guides the surgeon as to where to remove tissue next. Some skin cancers are deceptively larger and more extensive under the skin than they may appear on the surface of the skin. For this reason, MOHS patients may have a larger wound following their tumor removal. 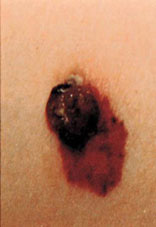 Squamous cell carsinoma may begin as a red, scaly patch, a group of crusted nodules, or a sore that doesn’t heal. 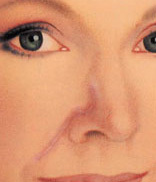 Our plastic surgeon, Dr. Max Lehfeldt, does not perform MOHS surgery. Patients will be referred by their dermatologist to Dr. Lehfeldt as he has extensive experience with MOHS wound reconstruction and closure. Dr. Lehfeldt works with numerous MOHS surgeons to help correct and repair the resulting skin cancer defects. Dr. Lehfeldt will discuss your treatment with your dermatologist or referring MOHS surgeon. He will then meet with you, examine your wound, and formulate a plan with you. 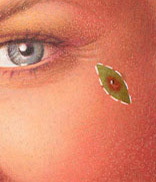 The plan may include grafting (harvesting of skin from another site on your body) and/or flap closure. Call today 888.96.DR.MAX (888.963.7629) or email to make your appointment with Dr. Lehfeldt! 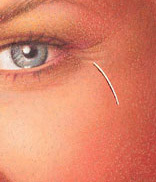 This procedure is covered by insurance, so your consultation and surgery will be billed accordingly.